In this month’s Paris Insights, we take you on an Easter stroll through the Saint-Germain-des-Prés quarter. 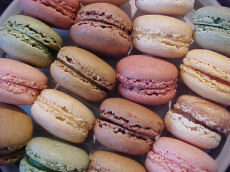 During the promenade, you will stop in three of Paris’ best pastry shops to buy macarons, those melt-in-your-mouth confections that look like tiny, colorful hamburgers but taste oh so much better! And along the way, you will see two prominent churches in the neighborhood and learn about some of the Easter traditions of France.